Grab a cheap seat on the berm or a reserved seat in the infield, there isn't a bad seat in the house! Let the kids play at the playground when the need to burn off some steam. 8 ●●● Try out a different pool! 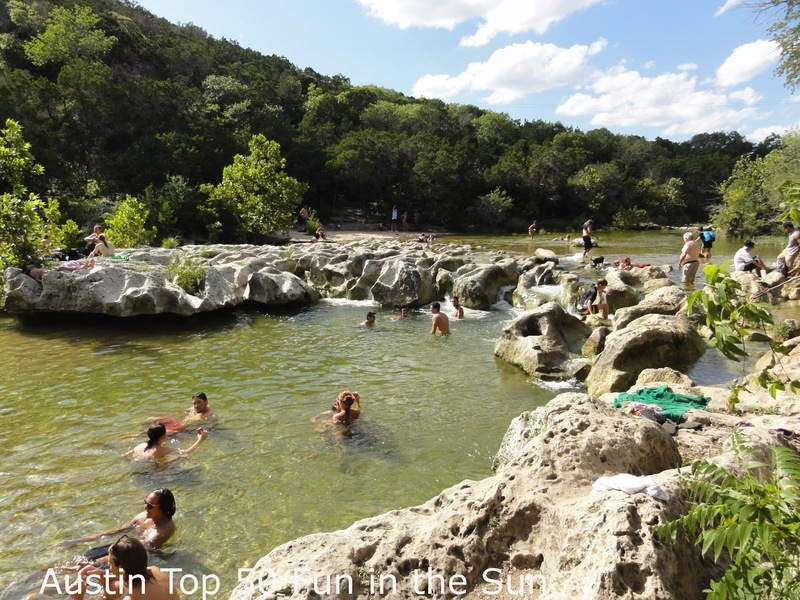 There are lots of really fun pools in and around Austin, and most of them have very low admission fees. For a change of pace, make a plan to try a new one! Austin's newest pool opened last year! The swim facility contains three different pools, an L shaped pool with a diving board (and my boys love diving boards! ), a recreational pool with what looks like a killer slide, and a zero entry pool /splash pad for the wee ones. A newer pool in Round Rock, this swim center includes a fun water playscape, two large slides (for those over 48 inches), a baby area and a lazy river with tubes. Most areas are are less than 4 feet, so this is a great place for younger children! 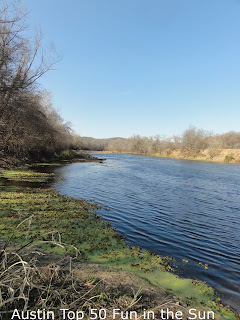 The huge shallow end, cool water, and massive cottonwood trees make this place a family favorite. Lap swimmers have their own pool, so the kids can frolic to their heart's content without getting in the way of the serious swimmers. Evening in Summer they show a movie for a fun experience! The pool features a slide and other interactive water features. Other amenities at the park include a hike and bike trail, basketball court, bocce ball court, sand volleyball court, picnic shelter, barn, pond and nature trail, and an orchard. Garrison Pool, located in Garrison District Park, is a great old pool in South Austin - and it is one of the few public pools that still have a diving board. There is a small fee for using the pool. A perfect pool for young children with a huge mushroom waterfall, animals that squirt water, and a cement beach. For older children, there is a water slide and an obstacle type course. This is the place to swim during cold weather. Heated by a natural warm spring, this pool has been around since it was built by the Works Progress Administration in the 1930s. 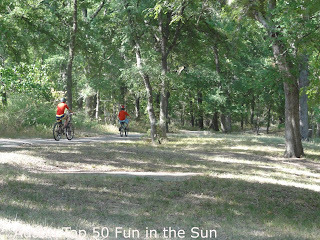 Located in the Southwest Regional Park in Leander, this looks like a fun way to spend an afternoon for smaller children. The park includes water cannons, waterfalls and water jets. While Austin has a lot of Fun in the Sun, sometimes it is just too dang hot. And once in awhile, it even rains :o) Here are some ideas of what to do when it is just too hot or wet to go out. Calling themselves the largest indoor playground in Central Texas, Mt Playmore has a 120 ft x 60 ft playscape that is over 18 feet tall. The area is large enough for adults to crawl through, so Mom and Dad can get a work out too! We recently visited Jump Street in Cedar Park. This park has a number of 50 foot long tramploines, trampoline dodgeball, a tube hill, nerf pit with rope swing, mechanical bull and maze. A wonderful way to beat the heat! This trampoline park is slightly smaller than Jump City. It has a dodgeball room and rows and rows of trampolines. Check out the teen nights, if you have older children or teens. Urban Air Trampoline Park Austin is suitable for all ages and fitness levels and offer guests a wide variety of indoor attractions across its wall-to-wall trampoline arenas, runway, foam pit, slam dunk track, trampoline dodgeball arena and Warrior Course. Weekend pricing: $12 first hour, additional hours $6. Cheaper weekday pricing available. Group rate of $10 per jumper with groups of 3 or more. Located in South Austin, this is a store and not an attraction. But if you are looking for a fun way to beat the heat, check out the large selection of both salt and fresh water fish. During the spring and summer, you can purchase turtle and fish food for $1, to feed the fish and turtles in the outdoor pond. And if you are looking for a new pet, there is $20 "Club" that provides a two week guarantee on any fresh water fish you bring home. These puzzle rooms first appeared in Austin a year or two ago, and since, a number of them have cropped up. Located in downtown Austin, your puzzle solving skills will be tested to the max and teamwork is forged by a common goal: to escape the room! You and your team will have 60 minutes to solve a series of puzzles using your wits, deduction skills, and clues found throughout the rooms in order to escape the room before time runs out. Located in North Austin, their goal is top-to-bottom immersion. For that reason, they encourage cosplay (wearing costumes and inhabiting a character) that fits with the theme of the room you have chosen. They are also the first escape room to offer a choice of difficulty! New to escape rooms and want to ease into it? Are you an expert and want to be challenged? Somewhere in the middle? Race the clock to find clues in this engaging puzzle challenge. Your team is locked in a room with only your wits to help you escape. Do you have what it takes to beat the Puzzle Room? Teenagers 13 and up can play. The Seventh Room mixes room escape games, choose-your-own-adventure stories and interactive theater to create a real-life puzzle solving experience for attendees. The immersive puzzle experience is designed to blur the lines between illusion and reality. To make the experience even more memorable, a cast of improv-trained actors are armed with riddles, back-stories and cryptic clues to help guide participants through the puzzles. During the challenge, participants explore several theatrically-designed rooms to look for clues where they will encounter lock boxes, riddles, hidden compartments and colorful characters. Known for the many peacocks wandering the property, this park also features art installations, hiking trails, and a historic cottage that can be rented for parties. There is also a great hike behind the property. Austin's Museum of Art, Laguna Gloria presents eight to ten exhibitions a year, most of which focus on American art since 1900. Austin has some great hikes. Some hikes are best to hit early in the morning, before the day heats up. Others have great swimming holes and are perfect any time, just bring along a swim suit. Here are some of our favorites! 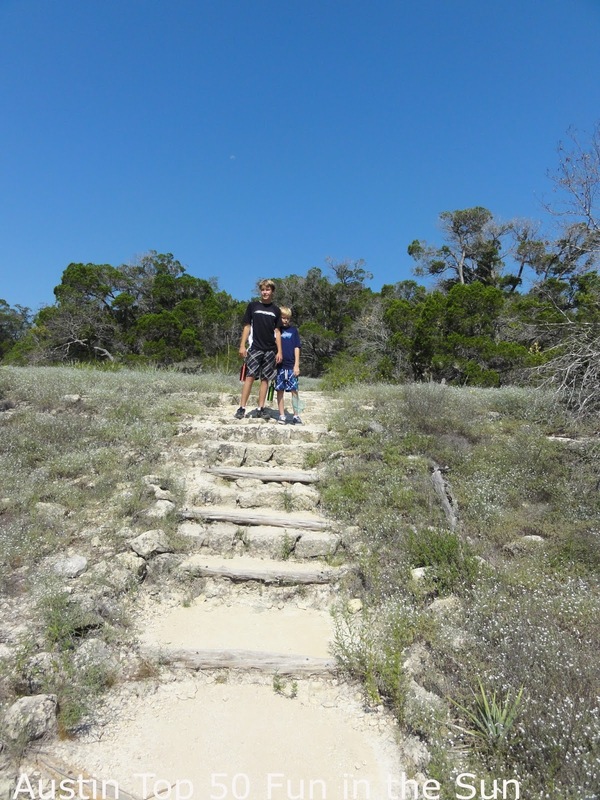 This has to be one of my favorite hikes in all of Austin. It is minutes from downtown and yet, hiking along the Barton Creek Greenbelt, you feel like you are in the middle of nowhere! Twin Falls is about a half mile down the trail head and is a great swimming hole. If you are more adventurous, Sculpture Falls is a mile further down the path and even more fun! 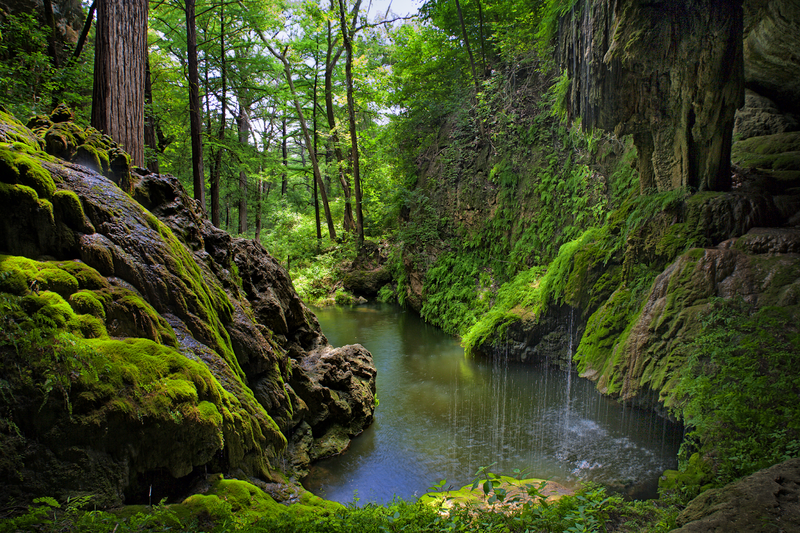 Westcave Preserve is a natural treasure of the Texas Hill Country, possessing unique and majestic beauty and ecological diversity. Located adjacent to the Pedernales River in southwestern Travis County about 40 miles from downtown Austin, this 75-acre gem is managed by the non-profit Westcave Preserve Corporation and offers an array of natural science and interdisciplinary educational programs for children and adults from Austin and surrounding communities. WestCreek Preserve is a great hike, with a visit to a natural cave. It is ranger-led, so call for reservations before heading all the way out to Hamilton Pool road! The hike starts at Bull Creek Park on Lakewood Drive. But a short hike along the creek will take you to a less populated area, where dogs frequently roam free. Be sure to bring a swim suit and water shoes, as the trail crosses the creek many times, and the sweet water holes are impossible to resist! The Turkey Creek Trail is located just outside of Emma Long Park. The trail is a fairly easy and flat 2.7 mile hike, 1.35 out and back, that winds back and forth over Turkey Creek. 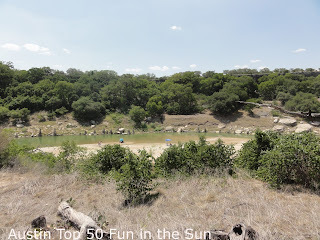 This is a great place for dogs to run (the entire trail is off-leash) and for kids to catch frogs and pollywogs, dig with rocks, and do all the things kids do! Wild Basin Preserve, located off of 360,includes 2.5 miles worth of trail in the preserve that are open from sunrise to sunset. Bikes and pets are not allowed. This is a dry hike, so make sure to visit during the morning, or enjoy in the fall! Located in Central Austin, this hidden park is perfect for trail runners, hikers, and dog owners. 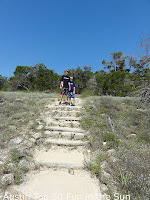 It has several trails and wide open spaces to enjoy hill country views. It also includes a stream running through the middle and cactus spread throughout the area. We have not yet been here, so this one is on our new list! Austin has a new ultimate team and they are a lot of fun to watch! Ultimate is a fantastic game played similarly to soccer, only using a frisbee. It has at its core both great athleticism, but also incredible sportsmanship. The Austin Sol will be playing games from April through July, at various locations around town. If you haven't watched an ultimate frisbee game, you really should check them out! Their goal is to harmoniously blend the spirit of Austin – friendly, musical, and uniquely weird with the athletic sportsmanship that defines ultimate. 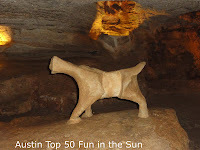 There are many local options for caverns in and around Texas. The caverns are naturally cool and comfortable, making this a great way to avoid the heat on those incredibly hot Texas days! My favorite cavern in the area is definitely Longhorn Cavern. Located in Burnet, this park features a Texas Hill Country wonder created over thousands of years by the dissolving and cutting action of water on the limestone bedrock of the area. Fossil remains show that many Ice Age animals once occupied the cave. Located about an hour south of Austin, pan for precious stones, take the ultimate leap of faith from the Watchtower, go caving on one of the adventure tours or simply experience nature on the original Discovery Tour. Pack up the car with bikes, swim suits and a picnic lunch and for a nominal fee, you can have a fun filled day! Bring along your smart phone with geocaching app, as many of these parks have geocaches as well! Pedernales Falls is located a few miles outside of Austin (about 45 minutes), but well worth the drive. It has one of the most unusual geologic structures in the area! The park has swimming (though none near the falls), fishing, biking, hiking, geocaching and more! 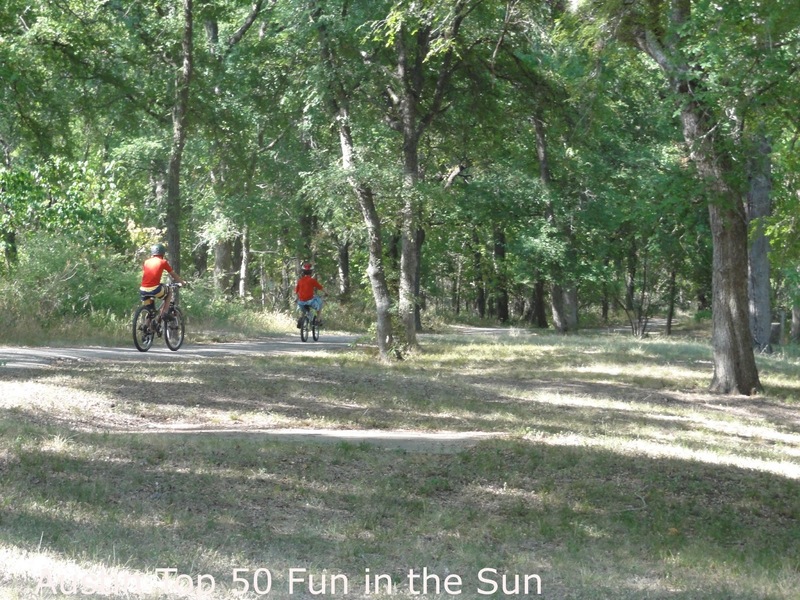 Located in South Austin, this park has a 3 mile asphalt path for biking as well as miles of mountain biking trails for the more adventurous biker. 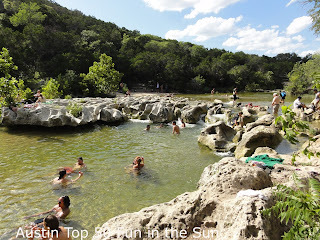 Located in Southwest Austin, this Travis County park is most known for its rock climbing and mountain bike trails. 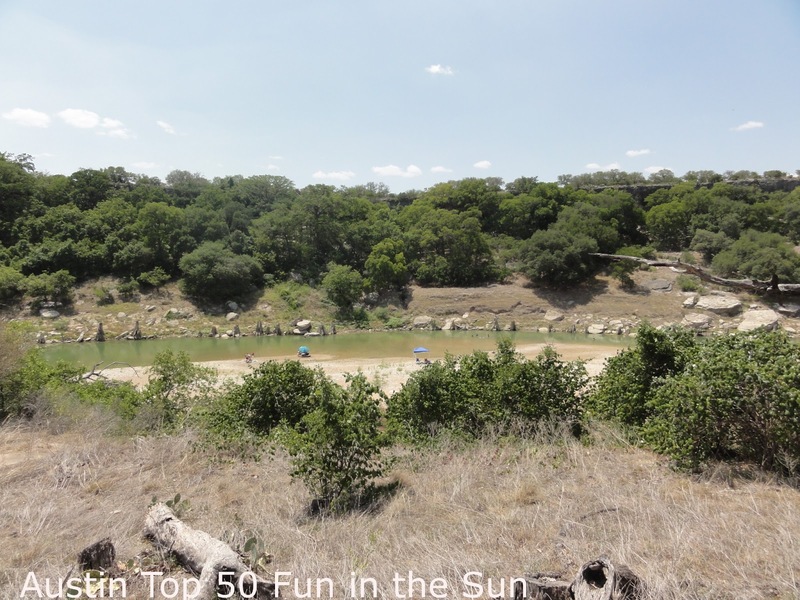 However, it is also a really fun place to swim and play in the Pedernales River. 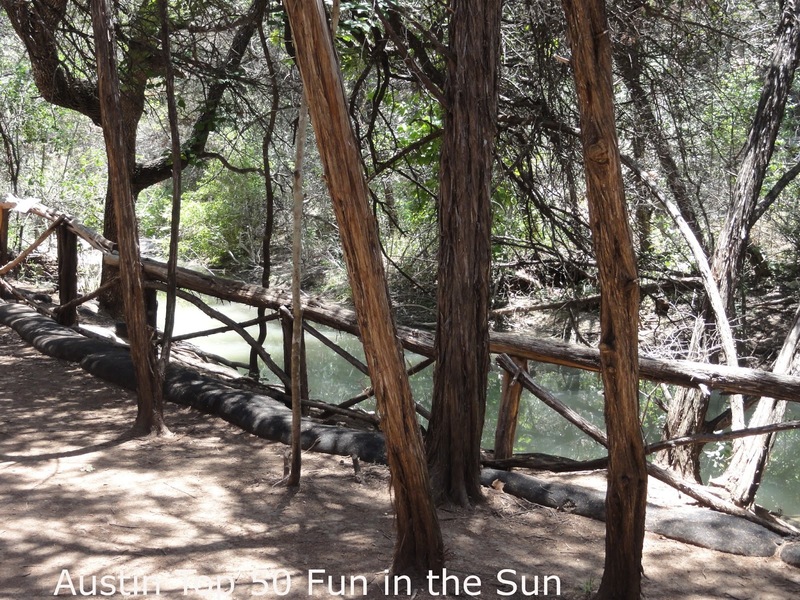 It is often one of the least crowded parks around Austin, and a great place to visit on busy weekends when other parks are full! 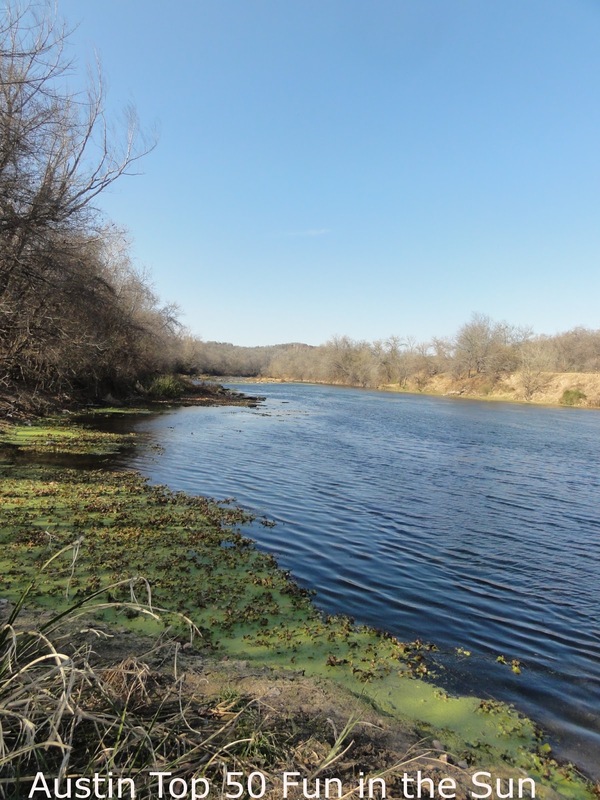 McKinney Roughs is an 1,100 acre park along the Colorado river. There are lots of great walking trails, horse paths and an interactive learning center. This park also has a bunch of adventures that look like a lot of fun. They have several different raft and kayak tours, including a moonlight float trip. They also have a ropes course (both low and high). Unfortunately, due to their week-long summer camps, it looks like the only summer option is a Saturday night moonlight float trip :o( During the fall, they do sponsor community days, which are open to non-camp goers. 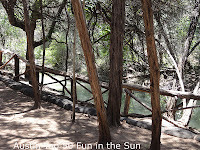 Why does it seem like most of the things in Austin involve parks or nature trails? If you can't find anything to do in Austin, you haven't looked. At all.